The Haze Control 4000 photometric converter is designed to operate with the optek DTF16 (11°/90° scattered light sensor) and additionally with AF16 or AS16, visable (VIS) or near-infrared (NIR) based sensors. The graphic display can show absorbance, turbidity and concentration in real-time and in any unit of measure such as EBC, FTU, ppm (DE), NTU, ASBC and Helms. These measurements may also be displayed as text, bar graphs or trend values. 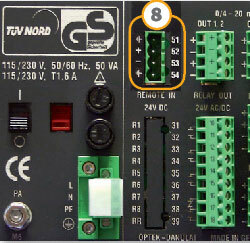 A factory zero point is implemented for the scattered light sensors. 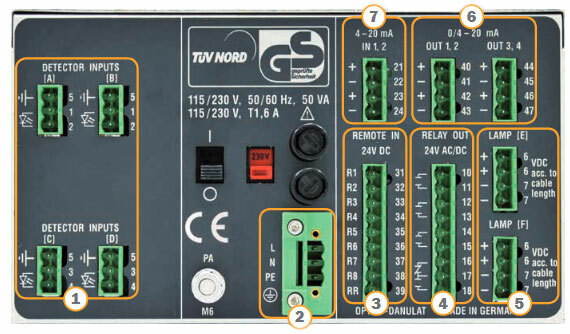 A secondary user zero for additional offset is included, as well as a slope and shift adjustment. This manual adjustment can be used to compensate for long term process related disturbances. 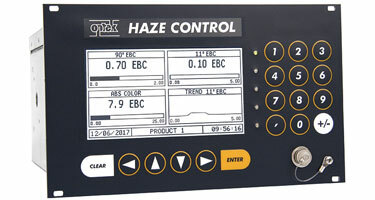 The Haze Control 4000 is available in various configurations to meet the exact needs of your process.